Ubisoft's Creative Director David Sears gives us some insight into the raw awesomeness that is Rainbow Six: Patriots. Brick-Force is a free-to-play 3D sandbox shooter. Brick-Force allows players to create worlds and maps that they've always dreamed of, brick by brick (similar to Minecraft). They can also share these virtual playgrounds with the community and use them as the backdrop for fast paced shooter hunts against fellow players or computerized opponents. The humorous game will be playable directly in the browser thanks to the Unity 3D engine, making it possible to play Brick-Force on Mac. Look at those faces... Stone.Cold.KILLER. 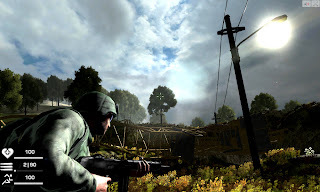 Offensive Combat is a free to play 3D browser-based first person shooter by U4iA Games. Offensive Combat aims to be just that, offensive. With a variety of teabag maneuvers, crude internet jokes, silly kill streak prompts and humorous melee weapons, Offensive Combat aims to appeal to players who enjoy internet humor so if you don't tough luck. Players can customize their characters with crazy outfits. Change your appearance to that of a panda dressed in a banana suit and fight others with a large variety of hi-tech weapons. Battle other players in four different game modes: Free for all, Team Deathmatch, Capture the Flag and Capture Point. Who doesn't want to be a panda?? c'mon! BeGone is an online multiplayer first person shooter with a modern and realistic theme. Each team tries to eliminate the opposing team before time runs out. Advanced graphic shaders, dynamic character locomotion and optimized networking code create an intense gameplay experience that is quickly accessible from a browser with no signup required! Try it out it is pretty awesome. Square Enix's Deus Ex: Human Revolution was a sleeper hit in 2011 that many video game critics praised. 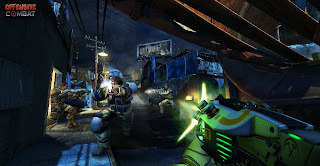 The game offered many unique things that FPS games this gen haven't offered. This is a really good game for the Wii U to add to strengthen their catalogue for quality FPS games. This game offers a unique experience by adding RPG elements to FPS, and the game is very challenging, but worth it. The Wii U version that is dubbed Dues Ex: Human Revolution The Ultimate Edition. The Wii U gets exclusive content that is not available to Xbox 360, PS3, and PC gamers. The Wii U version of the game gets improved boss battles, and 8 hours developer commentary. Developer commentary hasn't really been a feature that has been featured in many video games, so I am excited to try it out. There is also a feature to add images and audio into the Miiverse for friends to find. That is a neat feature because it gets you and your friends more involved in the game, and be more indulged in the universe. Release Date is still to be announced, but we will probably get more details in the coming months or near E3 time.